Pomegranates are native to central Asia and Persia. They spread along the trade routes throughout Europe and Asia and have been cultivated since ancient times. Pomegranates have a high water content in their juicy aril sacs and were carried by ancient traders throughout the Middle East as a source of liquid and nutrition. They are well adapted to hot, arid, and nutritionally poor soils conditions. They were brought into California in the 1500's and into Florida in the 1700's by the Spanish. There are many new varieties grown from USDA zones 10 to 6, with some varieties being cold hardy to 7 degrees F. The Variety 'Wonderful' was brought into California in 1896 from a batch of cuttings from Florida and is the main variety grown in California today. The popular POM Wonderful brand has been heavily marketed and its juice is commonly found in grocery stores throughout the US. The pomegranate grows like a large shrub to a height of 15'-20' and are most commonly grown as a multi-trunk shrub with 3-6 trunks. Pomegranates are self-pollinating and are an attractive dooryard tree with multi-colored blossoms and fruit ranging from pale pinks and yellows to deep burgundy reds. There are also several ornamental varieties from Japan that have stunning double flowers similar to carnations. The fruit, which ripens from August into October, has a thick, leathery skin and the interior is filed will hundreds of juicy sacs called 'arils'. There are tiny seeds inside each aril that can vary in size and hardness dependent on variety. The more cold hardy the variety, the harder the seeds will be. The flavorful arils also range in color, crispness and taste from sweet to tangy tart. The juice has the highest antioxidant content of any other fruit and has been used medicinally for centuries. The arils are great for fresh eating or tossed into salads and vegetable and meat dishes. Pomegranate juice is available in a variety of blends or made into pomegranate molasses, vinegars, salad dressings and wine. Grenadine is made from the juice of pomegranate. Pomegranates require full sun for optimum fruit production and can be grown throughout the southern United States and north to zone 7. They are fast growers and will begin to bear in 2-3 years. They do not have a chilling requirement, but will not bear as heavy of a crop in warmer winters in the south. They require little fertilization and will grow in poorer soils, although they will produce a better fruit crop if planted in richer soils. There is new interest in growing pomegranates as a commercial fruit crop in areas of the southeast and in Florida, where growers are looking for alternate crops to citrus. The University of Florida has an excellent website about orcharding. Bears: Summer, often after only 2-3 years. Soil type: Well-drained pH 5.5-7.2. Deep, heavy loams, but adapted to many soil types from pure sand to heavy clay. Watering: Trees should be watered every 7-10 days in the absence of significant rainfall. 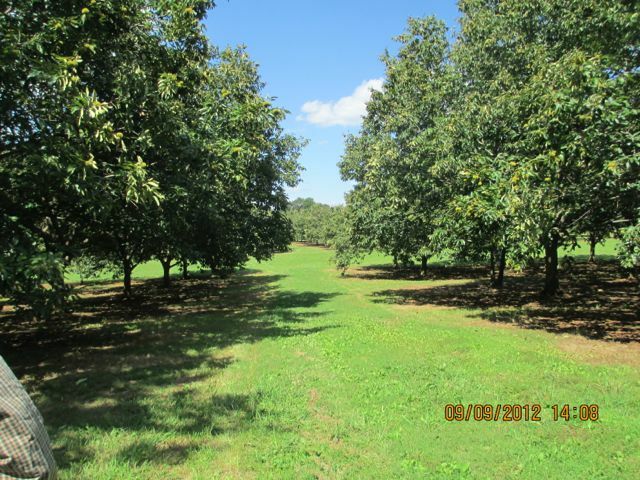 Maintain adequate soil moisture in late summer and early fall to reduce potential fruit splitting. Fertilization: In November and again in March Use 8-8-8. Hardiness Zone: 6-10 (depending on variety).